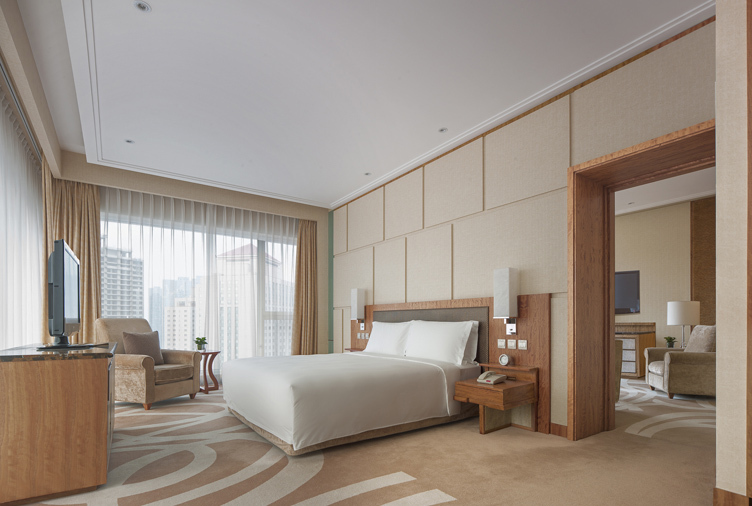 Our high-ceilinged suites offer beautiful views of the Dalian city skyline and the harbour. Elegant décor, warm colours and plush furnishings add to the residential feel of the rooms, and crown-cut oak timber joinery, silver travertine stone and mood and task lighting create an ambience that puts you at ease. Business travellers and holidaymakers staying in our One-bedroom Suites and Director’s Suites will appreciate the entertaining possibilities of a kitchenette, plus a separate dining area with a table for up to eight people. At the end of the day, you can relax in the bath or meditate under the shower before slipping into a bed that feels like heaven. We’ll see you in the morning. One-Bedroom Suite 12 suites, Levels 9 to 21. Director's Suite 5 suites of 85 square metres, Levels 22 to 24. Presidential Suite One suite of 200 square metres, Level 23. 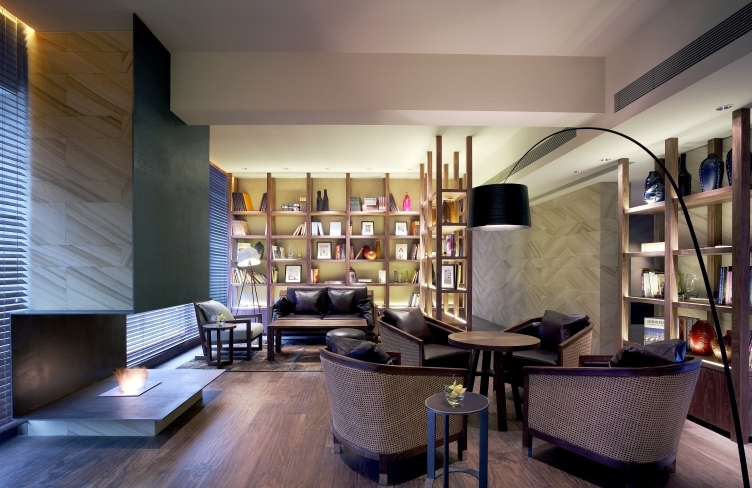 You also enjoy the complimentary services and benefits of the Residence Club and the Residence Club Living Room. 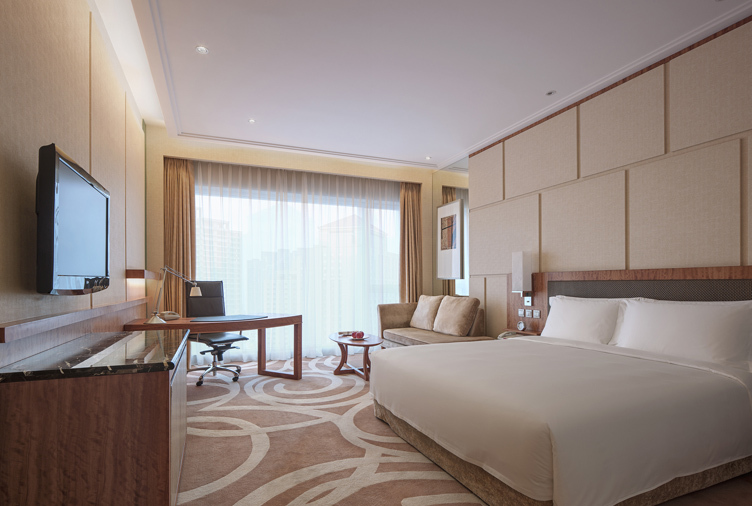 The Presidential Suite offers truly expansive accommodation and the highest level of New World Hotel service. This 200-square-metre suite is decorated with exceptional furnishings and features a kitchenette, walk-in rainshower room and Jacuzzi. With a marvellous view of Dalian city and the harbour, this suite includes a spacious parlour, a private gym and meeting room.